St Michael at the Northgate Church in Cornmarket marks the position of the city’s old North Gate. 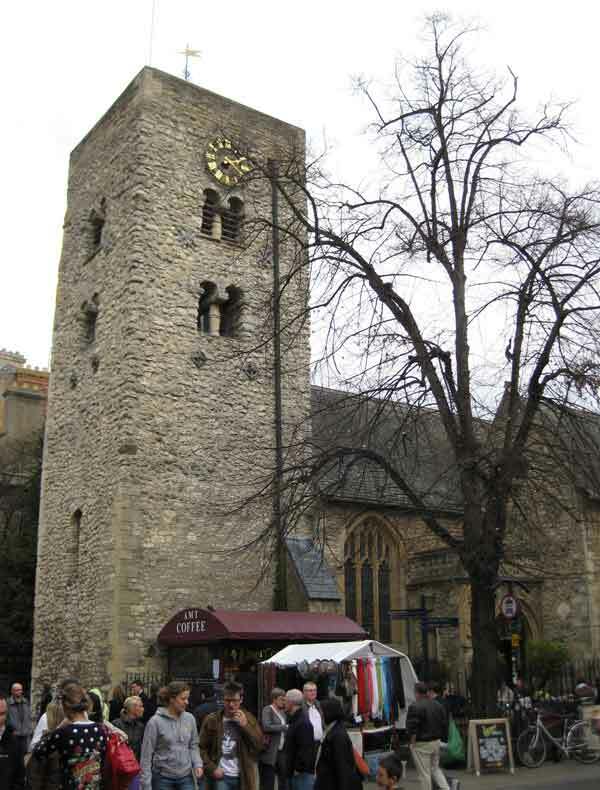 Its tower was built around 1050 and is Oxford’s oldest remaining building: it is recorded in the Domesday Book. The Church is Grade I listed (list entry 1185714), and its screen and gates are Grade II listed (list entry 1047326). 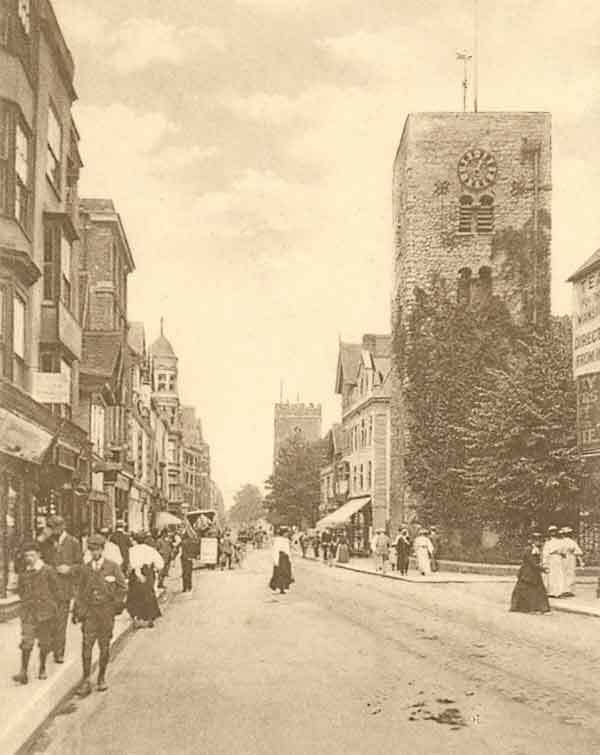 It has been the City Church following the closure of the two earlier City Churches (St Martin's at Carfax in 1896 and All Saints in the High Street in 1971).